Last week I had the privilege of attending a lecture on leadership by Nevada Head Football Coach Brian Polian. 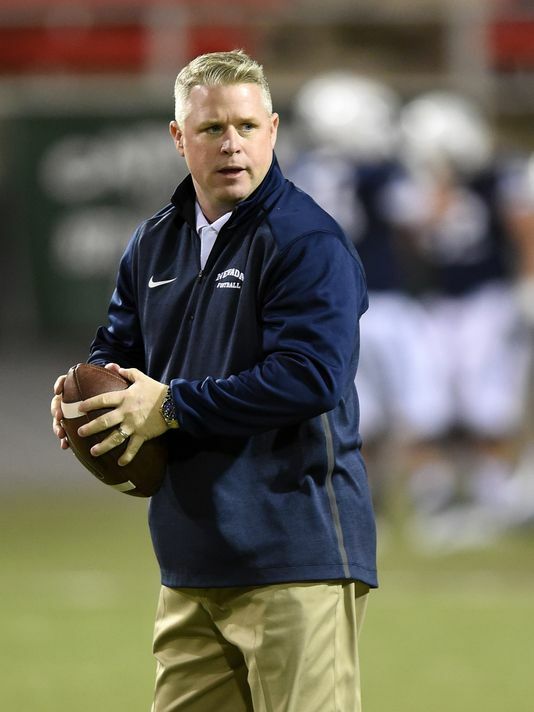 Becoming the 8th youngest FCS head coach in the nation at age 38, Coach Polian has a unique view on being a leader. Growing up under the watch of NFL Hall of Fame Contributor, Bill Polian, Brian has gained many valuable insights that have led to his own style of leadership. While I found many connections to what Coach Polian does on the field and what I have learned in the business world, there were several key quotes I felt really stood out. “Effort is the price of admission” – Bill Polian. This quote from Coach Polian’s dad sums up my opinion of what every sports movie captures. However, I don’t believe there is an industry in the world where this is not the case. Long-term success is built off of effort. “Youth is no longer a reason you can’t lead. It is about your ability and production.” And, “don’t worry about your age in an interview. You are there, so they know who you are and saw your skills and potential.” This stood out to me for two reasons. The first is because I have seen this in my own career. The second is because I just wrote a blog about leading as a young professional. “When you think you have arrived, there are always moments that will take you back a step.” Coach Polian shared a great story about his first college coaching job and bursting with confidence and cockiness, and then being taken down a few notches. I have certainly been in similar situations and truly believe you must have confidence, but also a healthy dose of humility. “Bloom where you are planted.” Having worked in a previous job for six years, I feel there is something special about really getting to know one organization and growing within it. There may be jobs where you feel like you have to jump around a lot to advance, but there really is a benefit to sticking around and building something. “Success demands grit.” Having perseverance is truly one of the most important qualities and another topic I recently discussed. “To succeed, you constantly have to be trying to grow.” Coach Polian talked about his experience coming up as a coach; taking notes, talking to other coaches, listening and understanding what truly made a great leader. If you aren’t learning and making yourself better, you won’t get very far. “Success demands courage. Are you ready to have uncomfortable conversations?” Whether it is leading those who are older or having to let someone go, if you are not able to have the uncomfortable conversations, positive change will not happen. “There is no secret to success. There are no shortcuts. You have to be willing to pay the price.” While there are certainly people who we think violate this assumption, I believe that over the long-term everyone has to work hard to get where they want to be. For some, the hard work just seems easier. “Be yourself.” I ended up having the only question at the end of the lecture and asked the Coach about the most valuable lesson he learned since starting at Nevada. He said it was needing to remember to be himself. You will end up going farther faster when you aren’t trying to be someone else. You can, and should, always try to be better, but being yourself is extremely important.